Contemporary Rotaract: the next generation of Rotary? Rotary is working to forge closer links with Rotaract and Jim Davies, discusses why this approach will provide a complementary membership channel for Rotary. 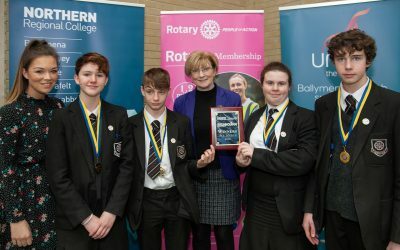 Rotary 2 has been described as a ‘masterstroke’ in resolving the problems of our Rotary age demographic that last year’s RI President Ian Riseley highlighted in the February/March 2018 edition of Rotary magazine. Contemporary Rotaract complements Rotary 2, it is about reversing the decline of Rotaract in Great Britain and Ireland and about promoting a new focus for Rotaract. It is developed out of three key Rotaract objectives: to provide opportunities for working in cooperation with sponsoring Rotary clubs; to motivate young people for eventual membership in Rotary; and to develop professional and leadership skills. Contemporary Rotaract is about bringing closer cooperation and joint working between Rotaract and Rotary. Cooperation that will draw benefit from the different experiences and networks that each can bring. It’s also about working in such a way that Rotaractors will want to become members of Rotary. Some will say that Rotaractors rarely become Rotarians, and that was certainly true between 20 and 25 years ago when a then thriving Rotaract in Great Britain & Ireland began its dramatic decline. Rotary has changed much in that time and this contemporary Rotaract model is very much about developing young people who will comfortably form or join Rotary satellite groups: can there be a better way to establish a legacy development as a traditional Rotary club? Sponsoring a Rotaract club is, of itself, good fun and meets one of the Presidential Citation goals. Once established, a Rotaract club immediately brings in more local resource and new, sometimes challenging, ideas to stimulate local programmes of service activity. At club level let us start new Rotaract clubs and involve Rotaractors on our project teams; include Rotaractors in your service activities, and invite your Rotaract President (ex-officio) onto your club council. District Governors are being asked to include Rotaract presidents-elect at the Training Seminars and, in particular, inviting Rotaract presidents-elect, secretaries and treasurers to the same training as their Rotary counterparts. We are also planning to provide training for district and national Rotaract leaders to support their specialist leadership roles, and will include District Rotaract Representatives in the Assistant Governor training programme. Through working and training together, Rotary will be fulfilling its stewardship duty of helping to develop, in Rotaract, the professional and leadership skills for a new generation of future Rotary leaders. Let us pass on knowledge of our networks and know-how in making things happen in our communities. 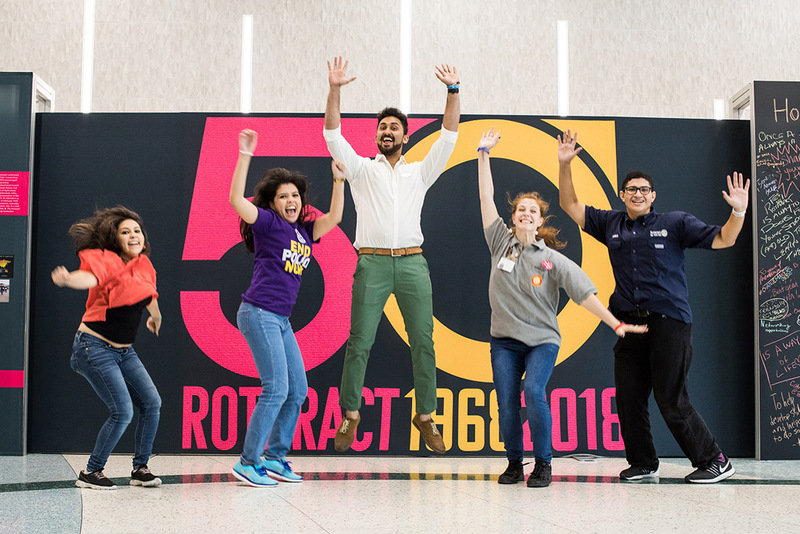 2018 marked the 50th anniversary since the formation of Rotaract. Let us also learn from the Rotaractors what they need to become Rotarians -what type of Rotary do they need to be able to accommodate Rotary in their working and family lives? We know that where Rotary clubs have a predominantly elderly membership it is always going to be difficult to attract new members half their age, and it is for this reason that Rotaract, as a distinct organisation for 18-30 year olds, needs to become a well-founded entry channel for Rotary. Am I passionate about this? You bet! Rebuilding Rotaract is part of the imperative to ensure we leave an effective service legacy but it is also much more than that. Our 18 to 30-year-olds have grown up in an age dominated by social media and have ever greater pressures on their time. Face to face contact with people who can provide meaningful and supportive relationships has never been more important. There is a problem of loneliness in that age group which Rotaract can help address. Perhaps Rotaract can become the new ‘friendship app’? In this context starting a new Rotaract club is, of itself, an action of service and a platform for new friendships. Sixty Rotaractors from around the world were invited to the 2019 Rotary International Assembly in San Diego as Rotaract participants. Reflecting the focus on Rotaract growth, and the importance of Rotaract to Rotary. Rotary International President, Barry Rassin, has set a goal of doubling of the number of Rotaract clubs. We have an average of only two per district at present, so it is an achievable challenge. It gives us a Great Britain and Ireland target of finishing this Rotary year with 100 clubs. Districts are being encouraged to put in place infrastructure and budget to promote Rotaract growth through establishing new university and/or community clubs although community Rotaract clubs are, in general, easier to establish and more likely to retain members for longer. 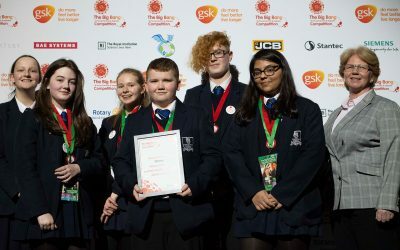 Recent surveys of employability skills amongst young people draw attention to the fact that incentives for schools to focus on academic results leave skills gaps that highlight the importance for young people to develop capabilities such as resilience, critical thinking, ambition, and leadership. These are just the skills which Rotaract experience can offer, especially when complemented by our own Rotary leadership and personal development programmes. Developing these programmes specifically for Rotaractors will make Rotaract an organisation of interest to employers. This may take some time but we can start including Rotaractors on our standard training programmes straight away, and at little extra cost.